Enjoy a day well spent in Goochland County, Virginia. Farm to Table Dinner- Get Your Tickets! Just as Gus Portokalos declares in My Big Fat Greek Wedding, “give me a word, any word, and I show you how the root of that word is Greek.” So it is true for our favorite fall squash-like fruit- the pumpkin! 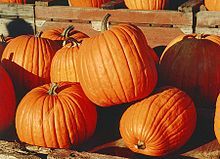 The word pumpkin originates from the word pepon which is Greek for “large melon!” The French later changed it to pompon which was later changed by the British to pumpion and finally arrived in North America with the colonists and became widely known as the pumpkin! With the rains of recent weeks, the pumpkin harvest is plentiful this year. Be sure to check out My Manakin Market this Saturday for locally sourced pumpkins (of course,) apples, pears, butternut squash, winter squash…the produce goes on and on! See the list below. And what a harvest we are having (if the farmers can manage to get out there and pick in-between storms)! We were fortunate here in Virginia not to have lost all of our pumpkins in the hurricane… Speaking of pumpkins – we have baking pumpkins! This week, we also have butternut squash and lots of other lovely winter squashes, fresh parsley and cilantro, green beans, beets, radishes, Arugula, peppers (including specialty varieties), a few tomatoes (slicing, cherries), zucchini, cabbage, sweet potatoes, potatoes, eggplant, fresh herbs, heritage apples, fall raspberries. We have one producer who will be bringing in some apples from other Virginia farms, as it is extremely difficult to produce applies in this area. They will also have Asian pears and plums from the Appalachian Valley. We have a great selection of meats, including grass-fed beef, pastured pork, lamb and poultry. We’ll have cheese this week from Night Sky Farm – come and try a sample! Our selection of baked goods includes breads, muffins, specialty cookies, focaccia, pies, quiches, and even pizza crusts! We also have honey, candy, homemade spices, specialty nuts, jams, jellies, local wines and lots of other delicious Virginia Grown items available at My Manakin Market! Live music this week is the Willow Creek Band, featuring a variety of bluegrass, gospel and Americana. See ya at the market! 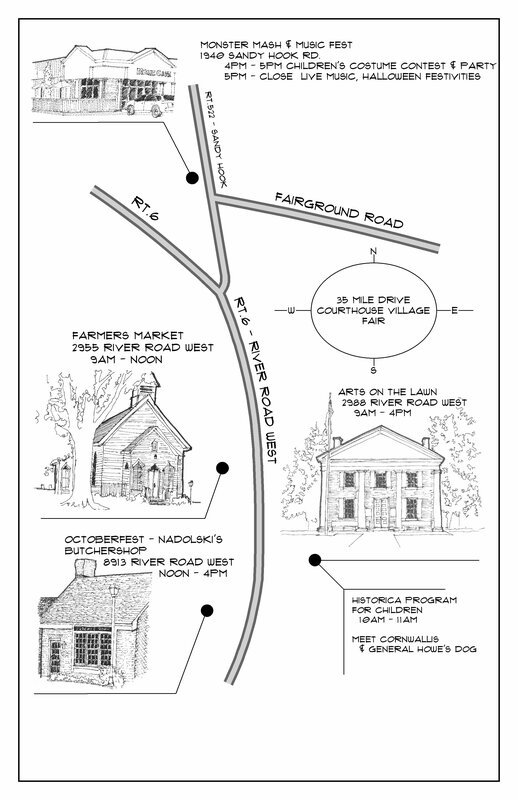 Where else can you find fine arts and crafts, wine, specialty beer, live bluegrass music, alpacas, farm fresh produce and meats, General Cornwallis, a beagle, Halloween festivities and a scenic drive (ride) along River Road less than 30 minutes from Richmond! 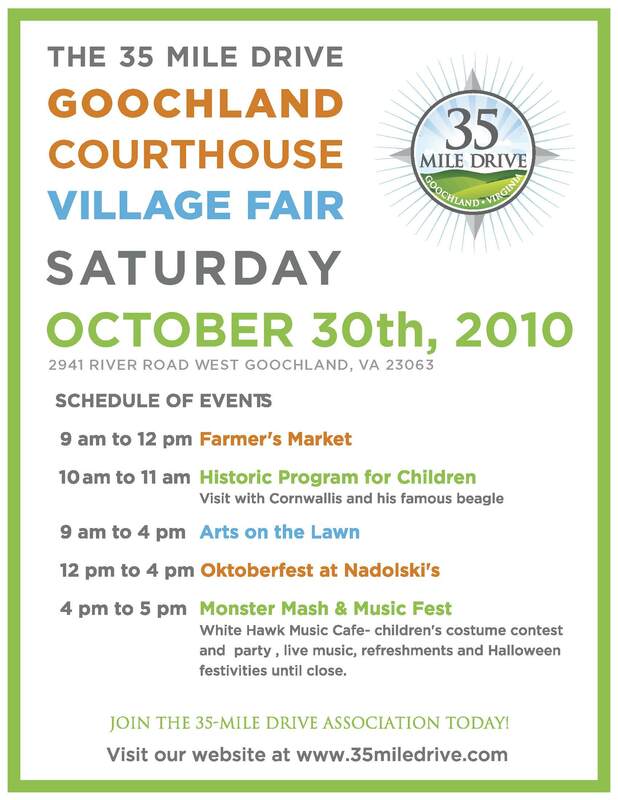 Spend a day in the country at the Goochland Courthouse Village Fair this Saturday! Put your joy in drive… all 35 miles! Spend the day in Goochland! 35 Mile Drive Courthouse Village Fair! Make a note….The children’s costume contest and party portion of the Monster Mash & Music Fest is from 4 pm to 5 pm. Starting at 5 pm (until close) enjoy live music, wine and beer, coffee, smoothies, cafe food and Halloween festivities. Costumes encouraged! Visit www.whitehawkmusiccafe.com for more information.